It’s not next door, but I can’t exactly argue with two-blocks-away-and-around-the-corner, either. So named because it’s adjacent to Hollywood Corner (a diner featuring healthy offerings), Next Door Lounge is easily a stand-alone destination with speakeasy stylings. 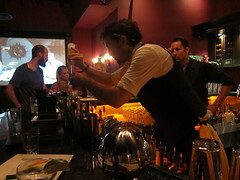 Not the least of reasons to visit Next Door Lounge is Joseph Brooke, a name any L.A. cocktailian would formerly associate with Copa d’Oro and The Edison (and for you reality TV contest junkies, Joe was also winner of On the Rocks: The Search of Americaâ€™s Top Bartender). After a few test runs, Joe has now designed at least half of the two-page menu, with some being riffs off old classics and others coming straight out of the manual. The cocktailÂ menu ($12-$14)Â reads something like a punchy phrase book from earlier times. I have to admit, it’s nice not having to do battle at the bar to reach Joe as in his previous high-volume bar downtown. 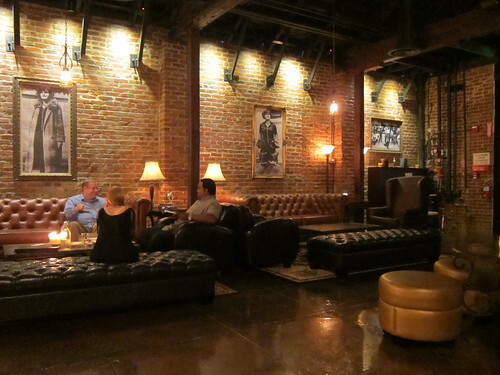 Next Door Lounge has a nice, intimate feel for its high-profile locale. My favorite cocktail happened to be one that was just perfected at the time, called the Volstead & Vice. Made with Illegal Mezcal, Pernod Absinthe, cucumber water, agave nectar and lime juice, I’ve never had such a gracefully smoky cocktail. The mezcal was nuanced while the natural juices in the drink subtly sweetened its aftertaste. 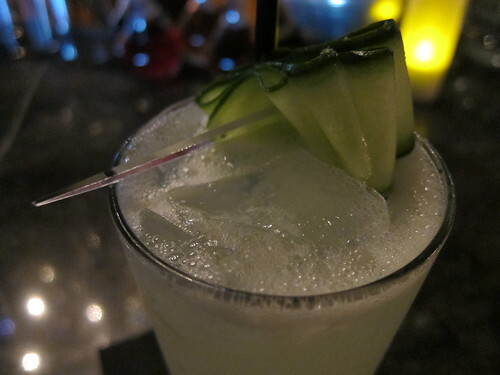 The bar’s signature cocktail, The Dame Next Door, may be familiar to if you’ve been to The Roger Room on La Cienega. Canadian Club 12 year is the base of this cocktail, with dry vermouth, clove-infused pineapple gomme syrup, pineapple juice, pasteurized egg white for froth and angostoura bitters for that oomph. You can’t miss it with the nutmeg key stencil sprayed on top. It’s a perfect flagship cocktail for the bar, as it’s extremely palatable and thankfully, not too sweet. There are a few drinks with Prosecco in it for that extra lift. And Joe does a great job creating favorites at the bar. 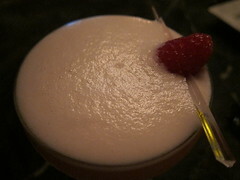 The Clover Club was as refreshing and deliciously frothy as any I’ve had – especially in the summer heat. The Ward 8 made with Bulleit Rye really highlighted the fresh juices used at the lounge. If you want a simple tequila cocktail, the aptly-named Tequila Daisy will certainly float your boat. Don Julio Silver is shaken with orange curacao and served up with a lime wedge. All these drinks are a testament to a cocktail menu that is perfect for what’s left of the summer heat. The bar bites are no slouch. Beware, though, because you just might get addicted to their highbrow version of beernuts: Fried spaghetti. Yes, crispy straight noodles really are addicting! 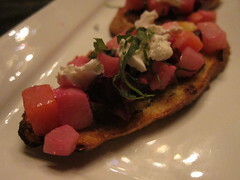 But if you’re looking for something a little bit more substantive, go for one of their flatbreads or bruschettas with pickled beets, goat cheese and basil. What I love about the decor are the little touches that give the spaceÂ a bit of authenticity. The owner, Ferris Wehbe,Â is a bit of a Hollywood community manÂ and really wants theÂ lounge to be a neighborhood hangout. Joe showed me a bit of the barware that came straight from the Beverly Hills Hilton in the 40s – so there indeed is a little bit of history at Next Door Lounge. 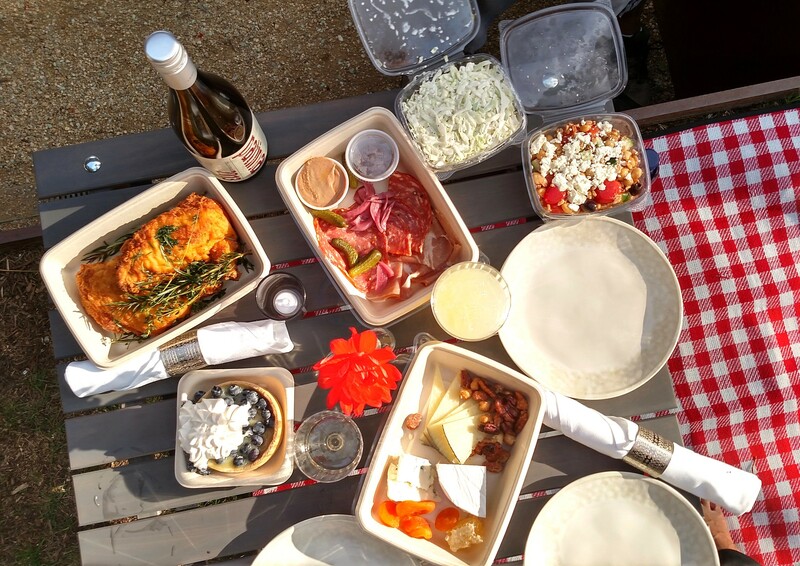 The good news of the summer just keeps rolling in – and this oneÂ happens inÂ popular downtownÂ digs. The EdisonÂ reprised their recession-themed happy hour last night withÂ the 35-cent Martini.Â Remember, this one is only on Wednesdays and Thursdays from 5 PM until 7 PM. (Or join their mailing list andÂ print out the email to get two $0.35 martinis. )Â On Fridays during the same time frameÂ you getÂ the $1 Centennial Cocktail, which is named in honor of the one hundredth birthday of the Higgins Building. 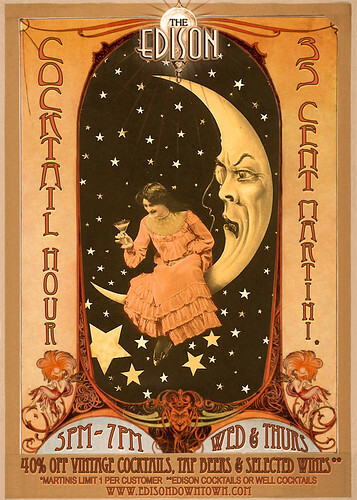 After your initial drink special, get a 40% discount applied to all Edison House Cocktails, well spirits, and select beer and wines by the glass. All items are served with a mountain of Edison or Tesla (sweet potato) Fries. Feeling sluggish?Â TheÂ Dog Days of Summer at The EdisonÂ brings â€œA Dog & A Brewâ€ â€“ a giant kosher hot dog, a draft beer, and a slew of onion rings – all for $10! Perhaps you’re in the neighborhood but not in the mood to commit for the night. 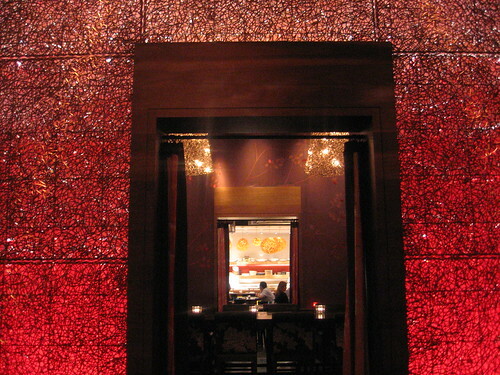 You want bites, not entrees – and were thinking something more elegant than bar food: The Nobu bar or lounge might be the perfect place to stop. They’ve recently made some additions to their already-popular menu – like Uni Dry Miso, Wagyu Dango Wasabi Saffron Aioli and Spanish Baby Octopus with Ginger Soy. Not to mention a brand new dessert menu. I will have to try that Suntory Whiskey Iced Cappuccino at least once! And if you just want the best of what Chef Alex Becker has to offer you, you can always choose the 6-course omakase for $40. The first 3 courses are direct from the sushi bar followed by 2 dishes from the hot kitchen – and then dessert. Choices, choices…some of us are just more decisive than others.